Every once in awhile, I love to do a shoot just for FUN. No pressure, no payments, no one to please - just some play time where I can try new things and get the creative juices flowing. 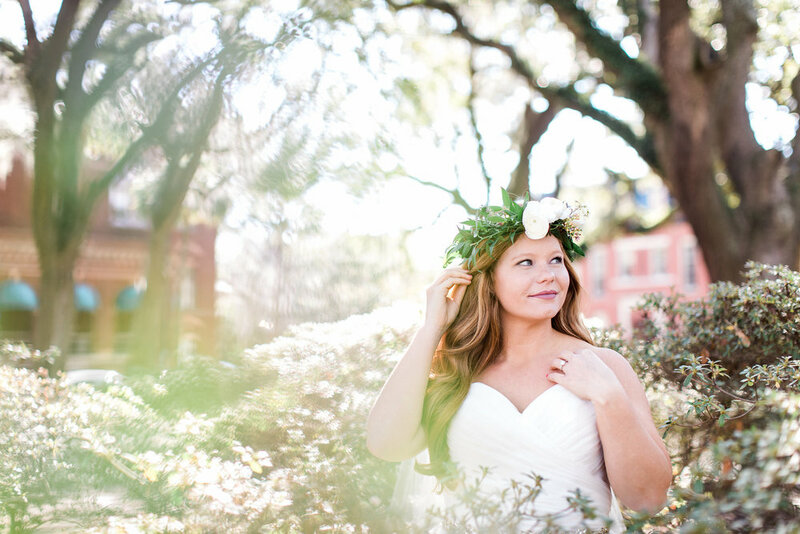 So when the lovely ladies at Mary Elizabeth's Bridal said I could borrow a gown, I immediately knew I wanted to create a whimsical, light-drenched shoot in downtown Savannah. After an early morning trip to Flower General/Carlstedt's for flowers, Jessica of Mary Elizabeth's made a gorgeous flower crown and cradle bouquet for our model Caitlin. 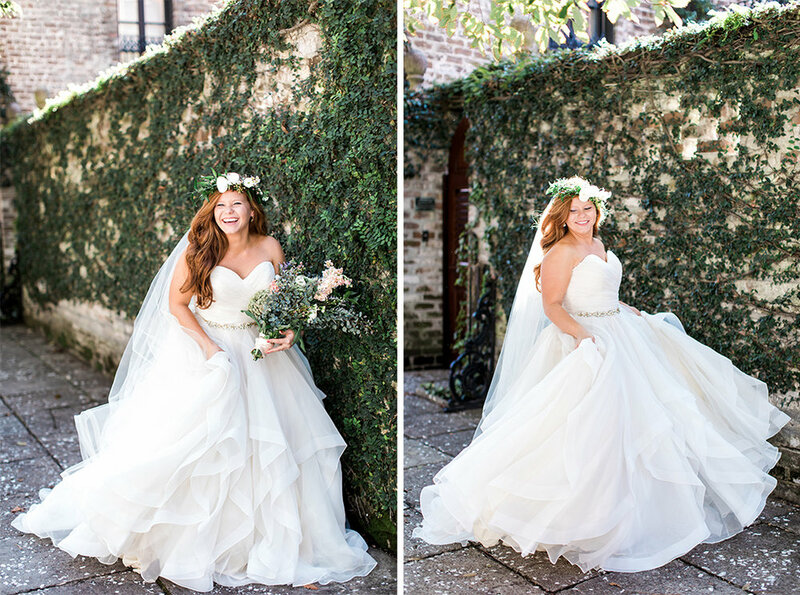 Add earrings, a belt and a veil from Adele Amelia Bridal and a Morilee dress, and our vision was complete - SO. MUCH. WHIMSY.